No one wants to hear a diagnosis of head lice; but if you do, The Lice Place provides what you need at our Tuscaloosa Lice Removal and Treatment Clinic. We are proud to be a member of the National Association of Lice Treatment Professionals (NALTP). 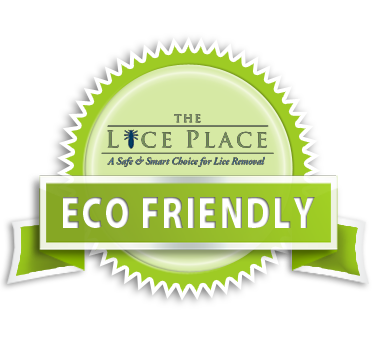 Your appointment begins when one of our experts escorts you to a private treatment room at The Lice Place. We will carefully inspect your child’s head to confirm or deny the presence of lice and nits (lice eggs). If lice are present, we recommend inspecting the whole family to ensure an effective treatment plan.We use our patented, uniquely designed Terminator Comb to effectively remove all lice and nits. This process takes about 15-30 minutes for a boy and around 45 minutes to an hour and a half for a girl, depending on the severity of the infestation, amount of hair and hair length. After lice removal. Follow-up head checks are included one week after treatment and for three months afterward. Any questions you may have are answered by your personal technician, who can also offer guidance and advice against further infestations. We also offer treatment products for your convenience at your Tuscaloosa Lice Removal and Treatment Clinic. TLC shampoo and conditioner are made from essential oils without harmful chemicals and pesticides. They are gentle and pleasant enough to use every day. TLC Mousse is a great product that loosens nits and lice upon application. Our TLC Mint Spray is recommended for daily spritzing to aid in lice prevention. Call The Lice Place today to set up your appointment. Your initial phone consultation is free!